Dunedin MSAR is made up of interested, trained and capable volunteer individuals and representatives from many organisations, all with suitable abilities and knowledge of the marine emergency environment. 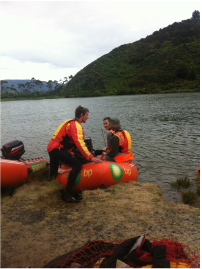 Dunedin Marine SAR is always on the hunt for skilled, cooperative and quick-thinking people to join our organisation. We have many positions available within our teams including crew members, skippers, administration and management super stars and much more! If this sounds like you, make sure you get in contact with us now for more information on becoming a Dunedin Marine SAR volunteer.